Provide comfort for the family of John Atchley with a meaningful gesture of sympathy. John B. Atchley, 73, of New Cumberland, passed away on Sunday January 20, 2019 at his home. Born on December 17, 1945 in Lowell, MA, he was the son of the late Aubryn and Blanche (Chawziuk) Atchley. John was a 1963 graduate of Cumberland Valley High School. He went on to serve in the US Navy Seabees with two tours in Vietnam. Following his military service he graduated from Embry Riddle Aeronautical Institute. John was a life member of Lower Allen VFW Post 7530, American Legion Post 974, American Legion Post 143 and a member of the Mechanicsburg Lions Club. He was also a member of the 5th ward Republican Club and a long-time member of the Lower Allen VFW Honor Guard. He retired in 2005 as a truck driver with UPS. John is survived by his wife of 52 years, Diana (Wrightstone) Atchley, of New Cumberland; two daughters, Heather Atchley Swartz, of New Cumberland, and Amy Michelle Atchley, of Etters; three grandchildren, William Swartz, III, Sydney Swartz, and Thomas Feeney; a brother, Walter Atchley and his wife Cathy, of Burke, VA; three sisters, Jill Shorter, of Plaistow, NH, Karen Mitchell and her husband John, of Brookhaven, PA, and Gail Jackman and her husband Dennis, of Haverford, PA.
Funeral services will be held at 11:00 A.M. on Monday January 28, 2019 in the Myers-Harner Funeral Home, 1903 Market St., Camp Hill, with Rev. Keith Searfoss officiating. A viewing will be held in the funeral home from 6:00 P.M. until 8:00 P.M. on Sunday January 27th, and also on Monday from 10:00 A.M. until the time of the service. Burial with Military honors will be held following the service in Rolling Green Cemetery, Camp Hill. 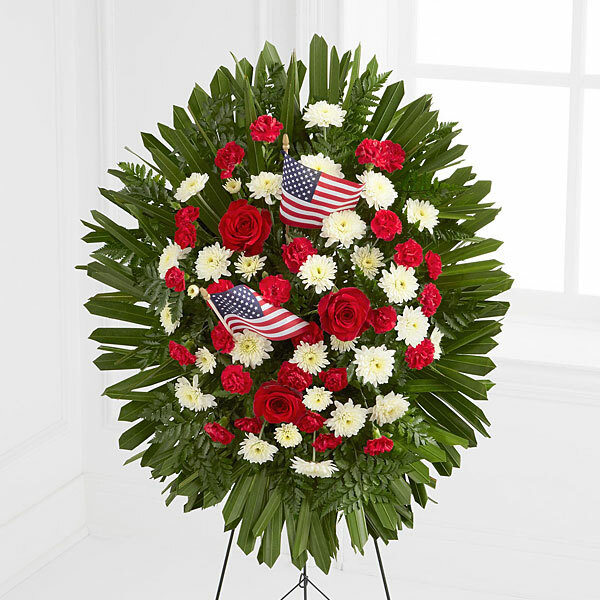 To send flowers in memory of John B. Atchley, please visit our Heartfelt Sympathies Store. With deepest sympathy, Your American Legion Post 1 sent flowers to the family of John B. Atchley. With deepest sympathy, Your American Legion Post 1 purchased flowers for the family of John Atchley.